Twin with bath/wc and balcony. 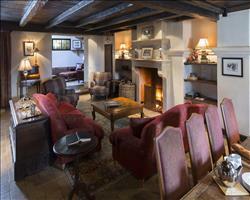 Please note that the balcony is shared with rooms 4 and 5. 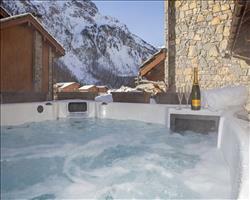 We update Chalet Bandire's details often, but facilities do change. e.g. some extras listed by the supplier as "free" or included might only be for the first time you use them, or for one time per party, then charged for further use. If any specific feature is essential to your holiday, make sure you ask us to confirm the details of it before you book your holiday. 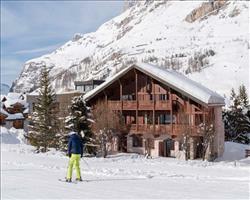 Val d'Isere lift pass price last reported as €294 (adult 6 day). 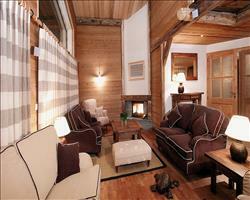 Ask for a quote when booking Chalet Bandire. 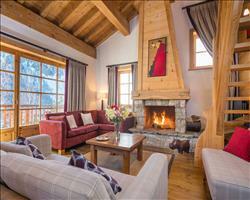 Chalet Du Berger Val d'Isere France, Gatwick to Chambéry 15th December. 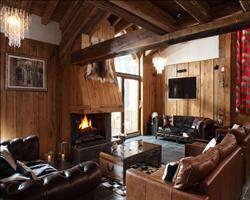 Chalet Le Bel Air Val d'Isere France, Gatwick to Chambéry 15th December. 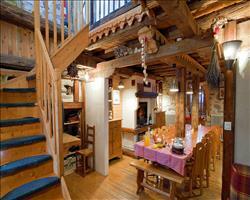 Chalet Angelique Val d'Isere France, Gatwick to Chambéry 15th December. 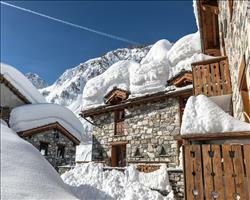 "Right by Le Fornet lift, great views"
Located right at the base of the Le Fornet cable car, the Bandire is the perfect base for any keen skiers wanting to make the most of the best of the Espace Killy ski area this season. You’ll be the first on the mountain on a powder day and with the ski bus stopping just outside it doesn’t matter where your après drinks take you at the end of the day. 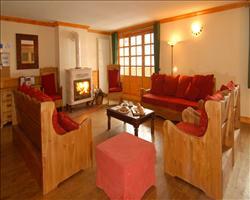 The décor is unpretentious and homely with fantastic views of the surrounding valley from many of the bedrooms.